Under ArmourThis year’s Navy uniform celebrates its mascot Bill the Goat, who has as storied a past as the Naval Academy he represents. The Navy has revealed that its uniform, made by Under Armour, will celebrate the school’s mascot, Bill the Goat. Under ArmourNavy’s helmet depicts ‘old and gnarly’ Bill charging forward. Bill’s origin story is a simple one. 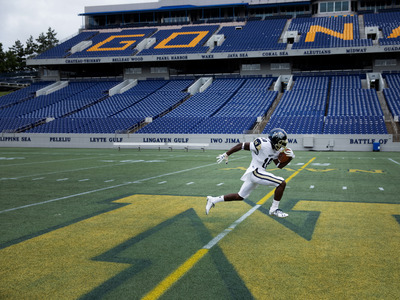 The Naval Academy adopted the goat as its mascot after the USS New York anchored off Annapolis. 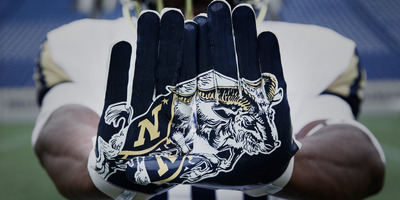 Ship’s sailors brought their mascot – a goat named El Cid – ashore with them to observe the Army-Navy game in 1893. The midshipmen won that game, and after a few more wins attributed to El Cid’s presence, the goat’s position was cemented. He was named “Bill” a few years later and to this day has a team of caretakers (and an abundance of blankets). 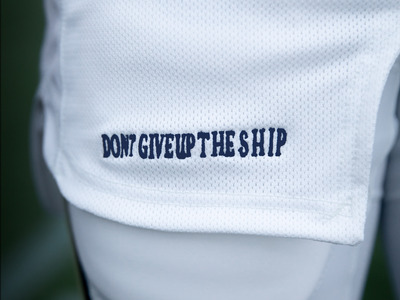 “Don’t give up the ship” were the last words of Navy Captain James Lawrence, who died from a gunshot wound sustained during battle in the War of 1812. Lawrence’s crew, well, they gave up the ship: they surrendered to the British after a mere 15 minutes. Regardless, Lawrence is remembered as a hero, and his words became an unofficial battle cry of the US Navy. Captain Oliver Hazard Perry, another hero from that war, had the motto stitched into his battle flag, which still holds a place of honour to this day in the Naval Academy’s Memorial Hall. 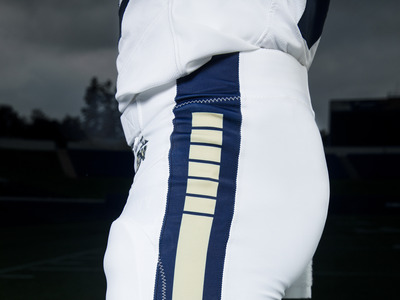 Six lines on players’ pants represent the Navy’s first six frigates. Under ArmourThe Navy often pays homage to its first frigates, represented sometimes by stars or other symbols. 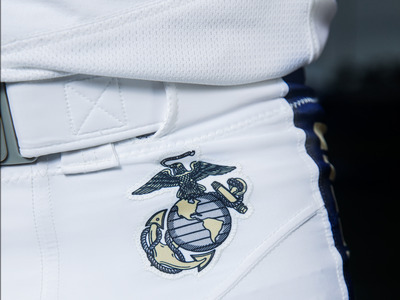 Under ArmourThis year, the the Corps’ eagle, globe and anchor appears on the players’ pants. In the past, the eagle, globe and anchor has appeared on helmets and sleeves, and uniforms sometimes feature a “blood stripe” as a nod to the Corps’ dress uniforms. On December 8, Navy will try to upset Army’s 2-year winning streak. 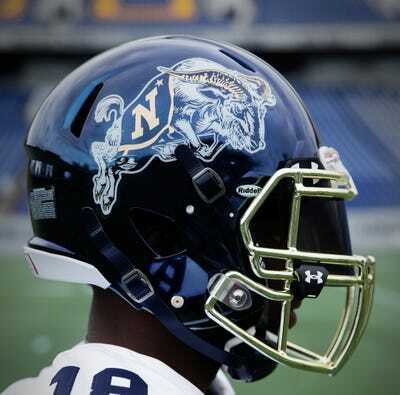 Under ArmourThe Navy held a 14-game streak until 2015.